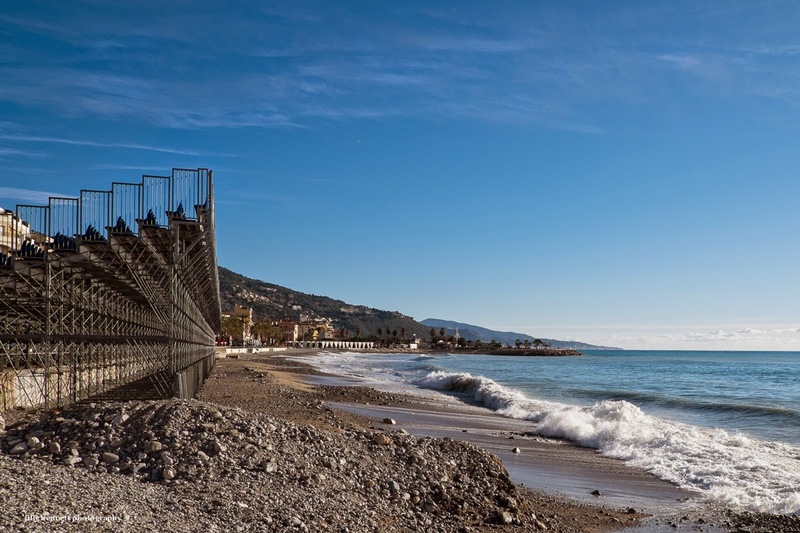 Menton Daily Photo: Ready for the Invasion! Soon the Fête du Citron (the Lemon Festival) will be upon us. Menton will be crowded. Visitors will sunbathe on these beaches. On the left you see one of the many stands already in place for the Corsos (the parades). Can't wait for all you photos from the festival, they are always fun to see. You've captured an interesting juxtaposition here. The water looks quite inviting, though I imagine it's still cold this time of year.